And no, not those kind of herbs (I’m looking at you, Colorado). If you have any space indoors or out, growing herbs like basil, mint, parsley and others is a no-brainer. We have some growing right outside our front door below the porch. Although they taste great fresh on eggs, pasta and the like, you can also easily dry them. Taste of Home actually has a great little tutorial on how to go about drying herbs. 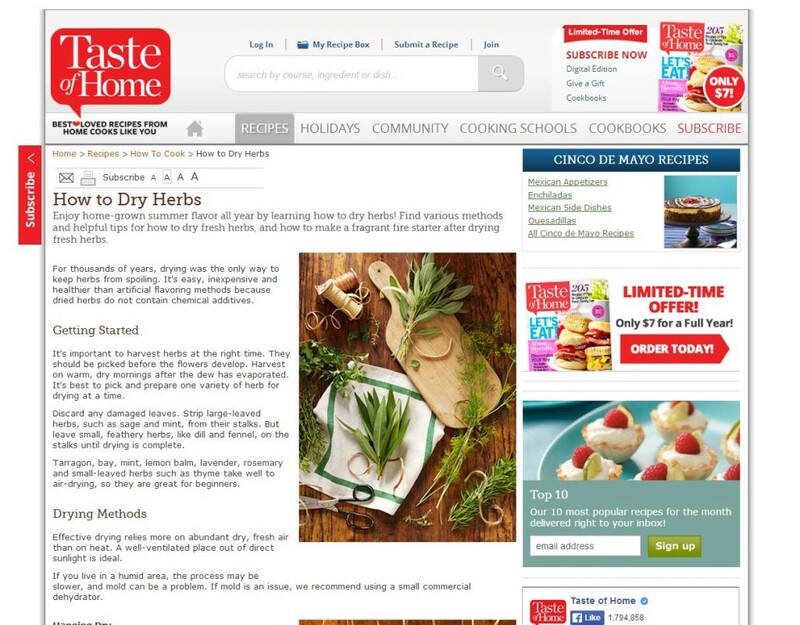 Their article “How to Dry Herbs” is a great start for those who want to try out a few drying methods. Stop spending your hard earned money on herbs that barely have a taste to them at all. Begin cultivating a more self sustaining life. Haha, thanks buddy! Also, I’m lovin’ the username. I hope K**** signs up with a similarly hilarious name.